Could Your Denture Cleaner Be Poisoning You? Countless people wear dentures, and thousands more make the switch every year. 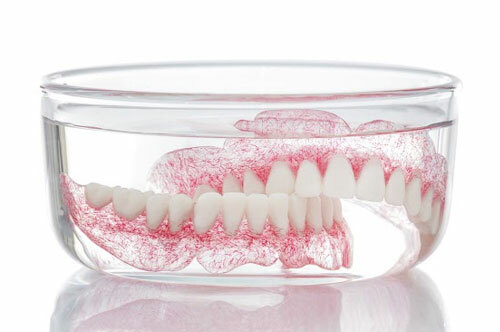 If you wear dentures – partial or full – you need to be aware of what’s in your denture cleaner! You probably don’t even realize that you’re exposing yourself to potentially toxic chemicals every time you clean your dentures, but you probably are! We craft a lot of dentures at our Carmel office, which is why we feel it’s important to pass this warning on to our patients who don’t know about it. Take a look at your denture cleaner and check the active ingredients: it one of them is persulfate you could be in danger. Persulfate denture cleaners make up the overwhelming majority of products available today. It works great because it’s an oxidizing cleanser that really scrubs away bacteria and other nasty things that build up on your dentures. It’s also highly toxic, and a lot of people even have an allergic reaction to it! Rinsing your dentures off before you put them in should be a standard practice, but even that isn’t always enough to get all the persulfate off. Allergic reactions to lingering bits of cleaner are quite common, and in many cases are never correctly diagnosed. These symptoms usually pass quite quickly so you might assume your dentures are just irritating your skin but that’s not the case – it could be a persulfate allergy. Persulfate poisoning also happens, though on a much more rare basis. Poisoning from persulfate requires ingestion of it, usually through drinking denture soaking liquid or ingesting a cleaning tablet. These instances are rare, but they have happened! You could end up with persulfate poisoning if you mistake a tablet for alka seltzer, eat a tablet thinking it’s an antacid, and children have been poisoned by mistaking them for candy. The effects are potentially fatal, so be sure you keep your denture cleaner in a safe location. If all this makes it seem like your denture cleaner is out to get you we understand. Thankfully there are plenty of alternative products that are persulfate free. 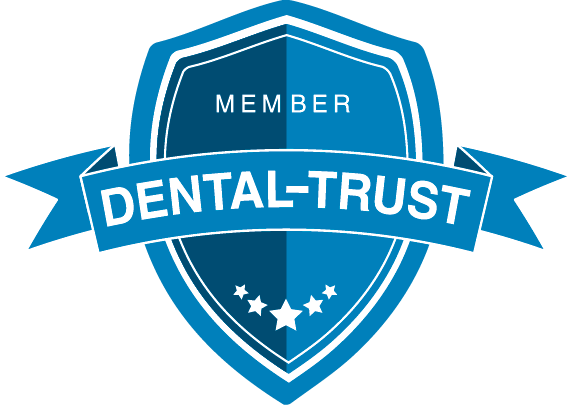 Take a look at denture cleaning products next time you’re at the store to find out which ones are a better choice – DentaSoak and Fresh Guard are two popular brands. You can also use castile soap, which might just be the cheapest and safest option out there! It’s great for dentures and doesn’t contain any harsh chemicals like other denture cleaners. It’s best purchased in liquid form and just a few drops is enough! Want To Get Rid Of Your Dentures Completely? Great – now you have to add poisoned dentures to your list of reasons to hate them! How about getting rid of dentures completely – it’s possible with dental implants! We can use a series of implants, usually four or six, that attach to a full mouth bridge, permanently replacing your dentures with teeth that are fixed in place and just as reliable as the real thing! Imagine never having to deal with dentures, denture cream, poisonous tablets, or embarrassing accidents ever again: dental implants can make that and more possible! The procedure is simple, and we can have you wearing a full set of permanent teeth in just a few months. You won’t believe how amazing implants are until you can experience it for yourself! Partial dentures, complete dentures, or even a single missing tooth can all be replaced by dental implants. You can get rid of them today and never have to worry about poisoning yourself or a loved one with denture cleaner – why not eliminate that risk? 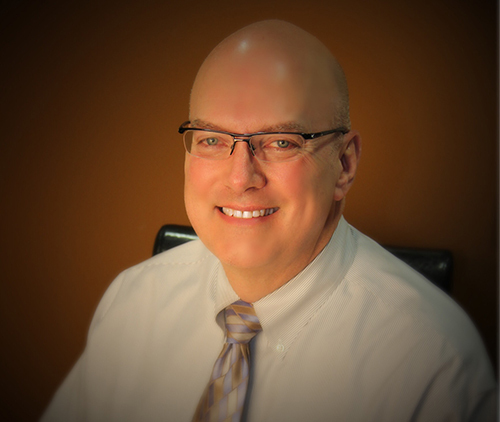 To find out more about your dental implant or denture alternative options don’t wait – call Really Smile Dentistry today to schedule an appointment! 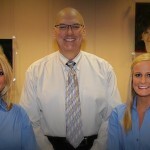 You can reach our Carmel office at 317-451-4050 or you can request an appointment online. We look forward to seeing you soon!